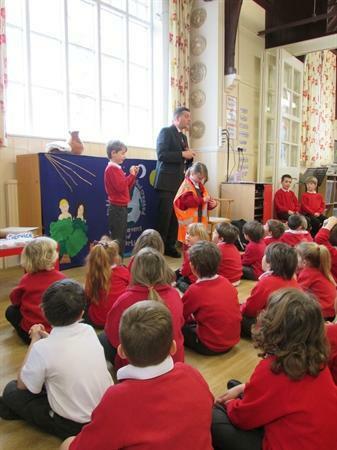 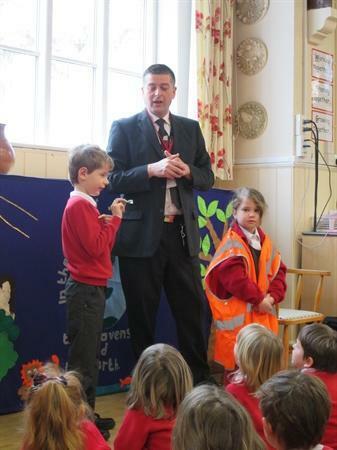 This week we were very grateful to receive two special visitors at our Collective Worship. 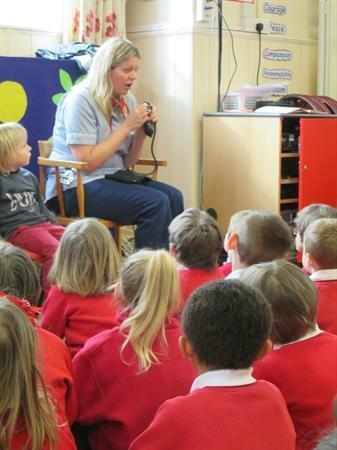 Through the Christian Value ‘Service’ we heard about Sarah Wright’s role as a nurse and Stuart Mitchell’s role as a train driver, both in full uniform. 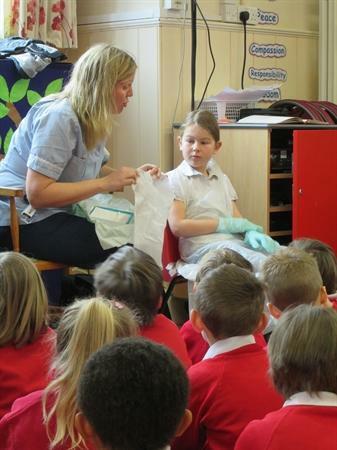 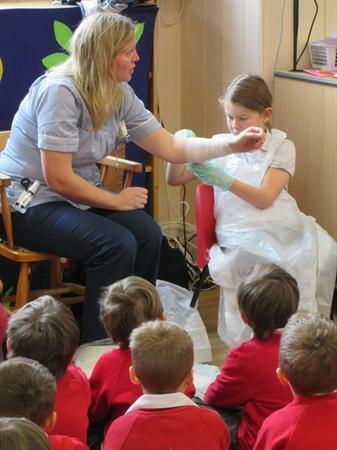 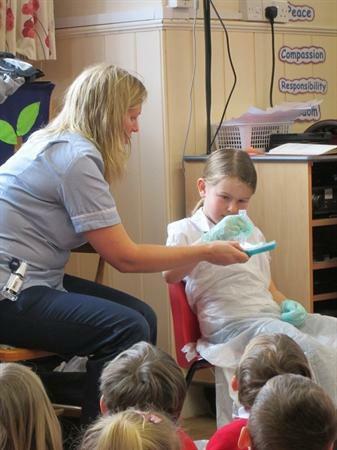 The children asked some very good questions and there were opportunities to hold various train essential items and to bandage Sarah’s arm – well done Holly!